The PAB stand is built from plywood, covered with natural veneer. 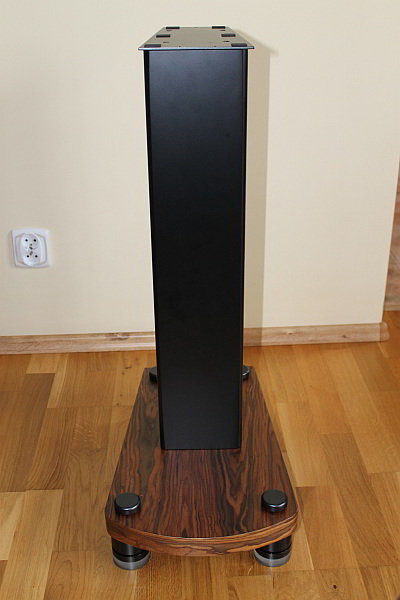 Without accessories the stand is quite short − not even 22.8″. But after applying PAB bearing anti-vibration feet, the placement top for the speaker reaches the typical height of 26.8-27.6″. The PAB stand has splendid sonic abilities, by using for its construction specially connected plywood and due to the high mass of the elements. 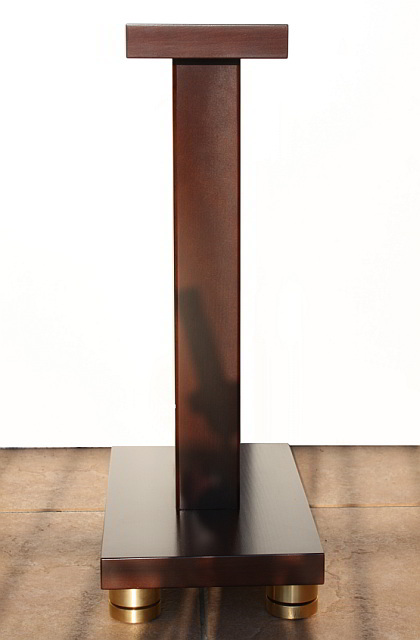 In addition the form is simplistic (like other our products, subdued to ergonomics and functionality) and elegant. 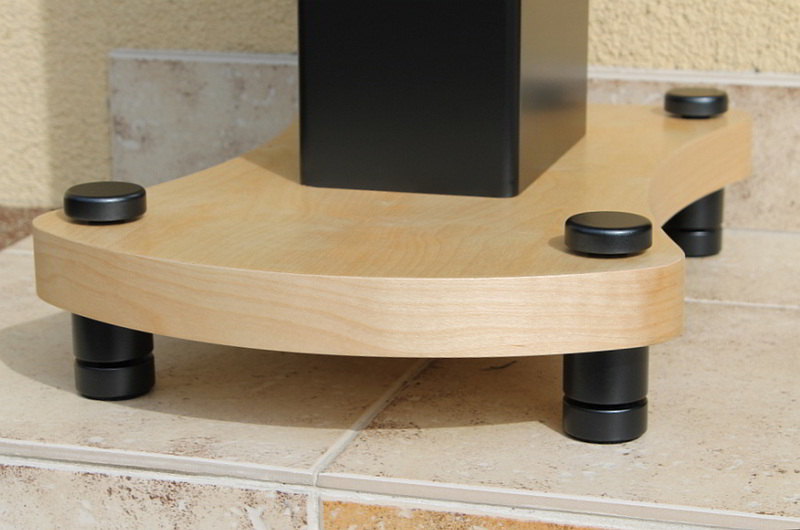 The PAB stand weighs 30.9-35.3 lb, depending on the kind of plywood used for the built and the kind of metall used for the top. 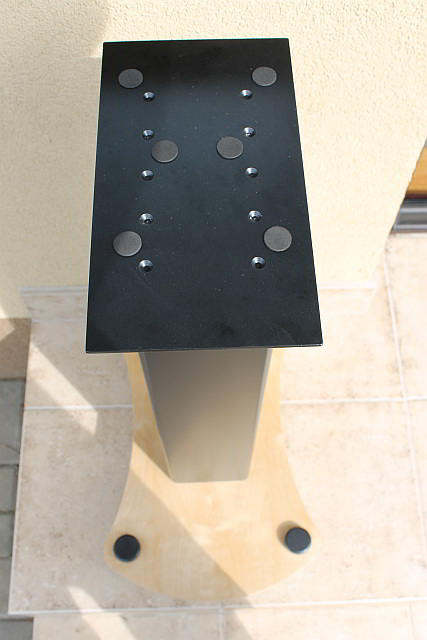 With the ball bearing feet and PAB anti-vibration platform its weight can reach 55.1 lb. 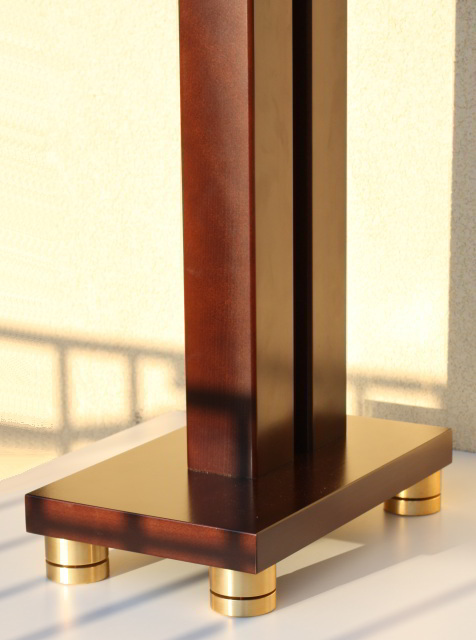 On demand we can also make metal-plywood, metal-acrylic stands (metal columns and plywood or acrylic plinths and tops) and PAB-LIG stand − stand from very dense and heavy plywood. 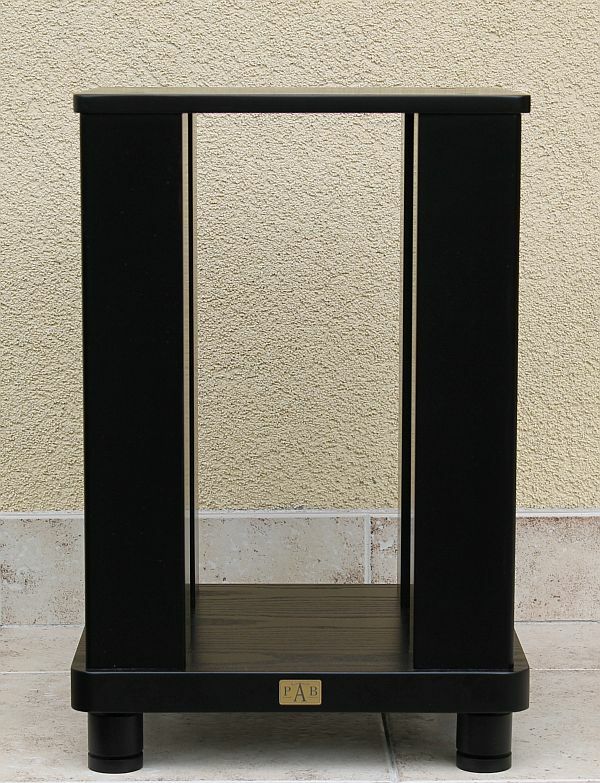 In addition we make stands with greater height (about 25.6″), where the speakers are placed directly on the top of the stand and the stand on ball bearing feet. As the result of that the top reaches height of about 27.6″. In our offer are also stands for Harbeth louspeakers. 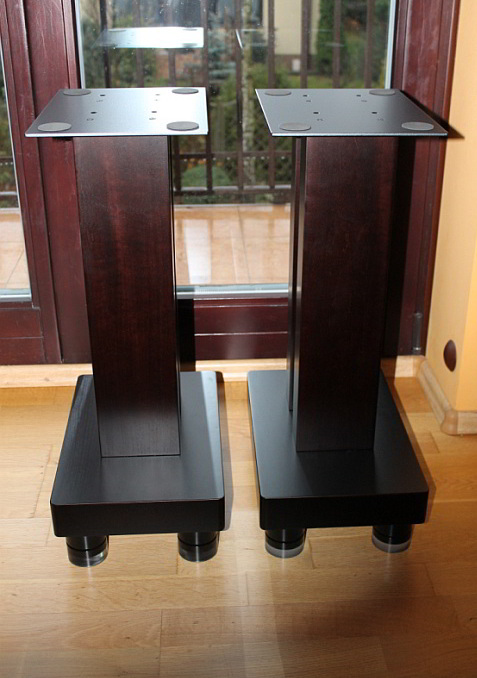 These stands are made from plywood and lignofol (very dense plywood) and prepared for setting on the spike or on the PAB bearing feet. 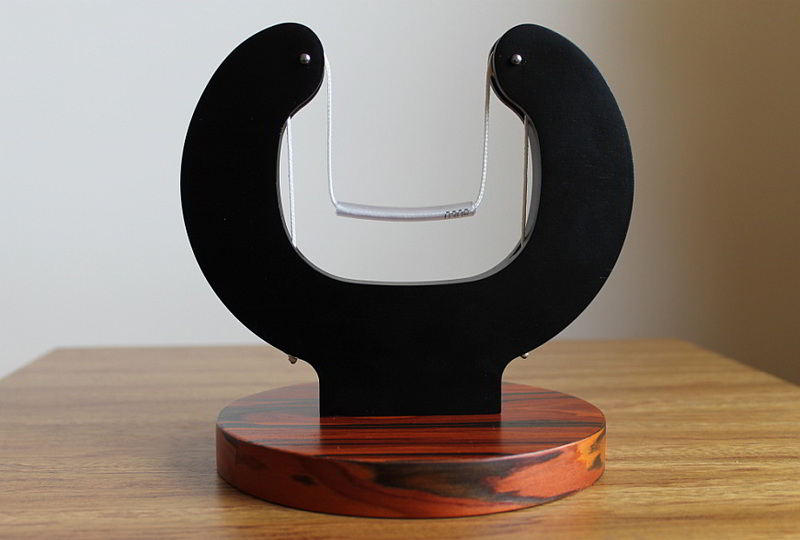 The newest PAB product is PAB Cable-Gate − hanger for power and speaker kable.